We're happy and proud to announce that Ace Jewelers is the first official dealer in Amsterdam for Klokers watches - the hit Kickstarter brand with a unique collection of 'machines to travel through time' with original designs, a patented strap changing mechanism and a friendly price tag. 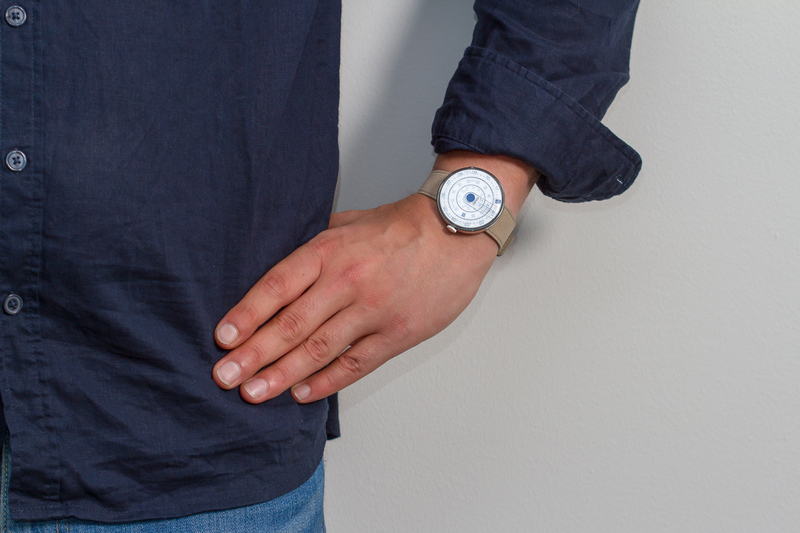 Klokers first gathered the attention of the watch collecting community in late 2015, when the brand launched it's Kickstarter campaign - an increasingly popular way for start-up brands to gauge interest and raise funds. The campaign proved to be an enormous success: Klokers set it's goal at EUR 50,000, but managed to raise a staggering EUR 605,898 through a total of 1.563 backers. It's no secret that at Ace, we love our watches. We're big on higher-end brands, often with intricate mechanical manufacture movements, and a price tag that reflects the craftsmanship and prestige that comes with them. But we're not snobs. We wear our G-Shocks and Swatches with as much passion and pride as we do our IWC's, Parmigiani's, Omega's and NOMOS'. So whenever we come across a watch that brings something new to the table, in terms of design, construction and functionality, we'll make sure to check it out in person to see if it lives up to our standards, and Klokers does. 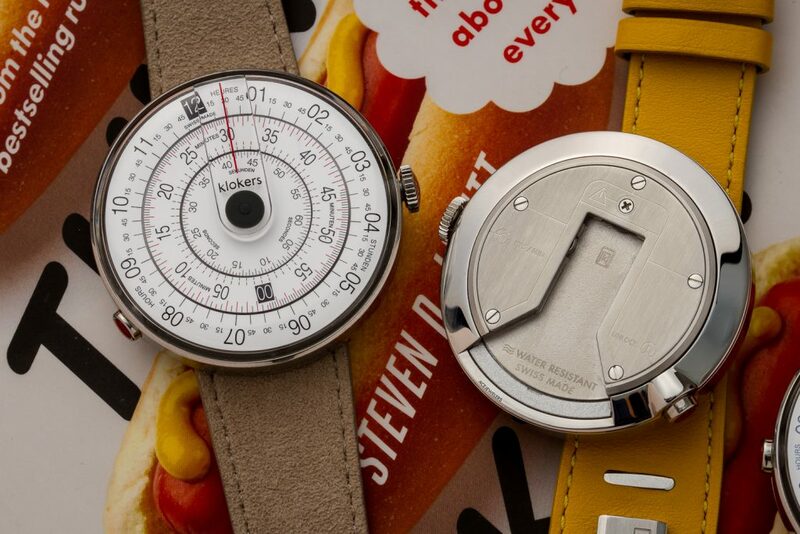 For now, the Klokers collection consists of two different watches: the KLOK-01 and the KLOK-02. Both have a perfectly round case with the patented 'Docking Klokers Key', which allows the strap to be changed in a heart beat by simply clicking the push button at 8:00, and future accessories will include a desk stand, a pocket cover, and more. Their designs, functionality, and sources of inspiration however are vastly different. The KLOK-01 has a case size of 44 x 11.5mm and is made of a metal-polymer composite. There are no hands. Instead, the dial consists of three concentric discs that turn anticlockwise to show time along a vertical axis. 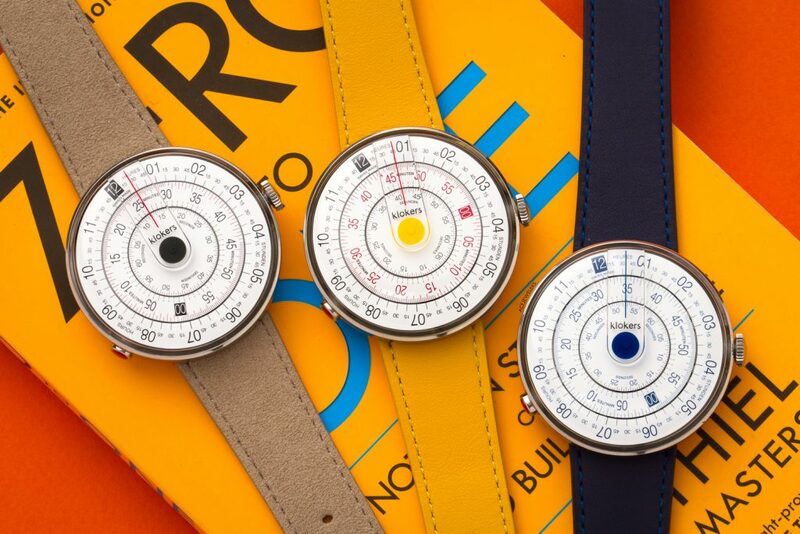 It is inspired by the circular slide rule. This was once a ubiquitous instrument to aid in math operations, though we recon it's best known to the younger watch crowd through the Breitling Navitimer. It is Swiss made and powered by a quartz movement by Ronda. At 43.2 x 13.2mm, the case of the KLOK-02 is slightly smaller yet a bit thicker.The top half of the dial has two retrograde hands displaying the seconds and the minutes. The bottom half of the dial is embossed with a faux leather finish and displays the the current time in the chosen and indicated timezone. A quick push of the button at 4:00 will allow you to flip through 24 different timezones, while a longer push will have the watch show the date instead of the hour. This unusual display is made possible by a Soprod quartz movement using high-precision micro-motors of the latest generation. 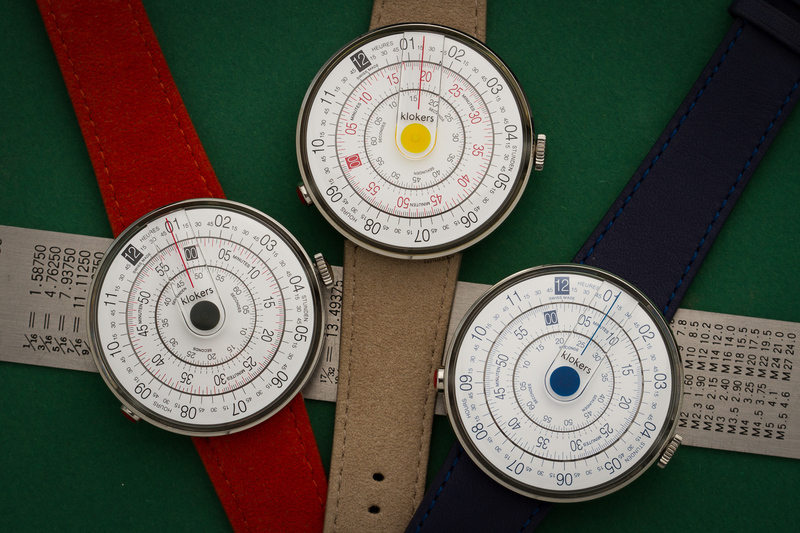 The KLOK-02 is also Swiss Made. The Klokers collection is available as of today in our e-Boutique, with prices starting at EUR 399 incl. VAT. We'll be uploading more fun configurations in the next few days.